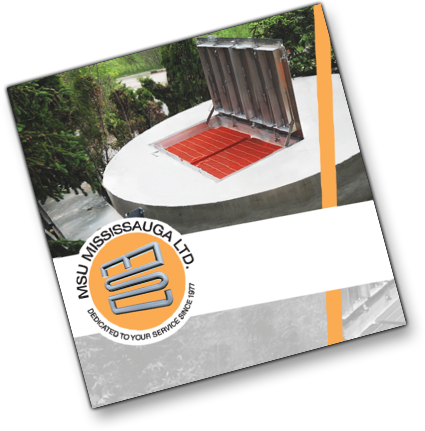 In 1977, MSU Mississauga Ltd. began in Canada as a licensee of a Swiss company specializing in the design and manufacture of safety climbing products, such as ladders, climbing rungs and access handles, for the water and wastewater industries. 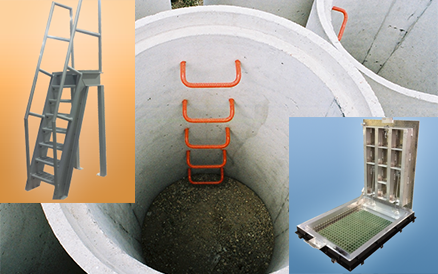 Today MSU stands on a foundation of innovative design, craftsmanship and sound business practices which over the years has allowed MSU to respond to client demand and to expand its product offerings which now include access hatches, platforms, trash baskets and many water and wastewater industry specific products. The MSU Mississauga Ltd. operation is a 1488 square meter facility which houses a full range of metal fabricating equipment such as GMAW and GTAW welders, plasma cutters, ironworkers, universal bending machines, cold cut and band saws, lathe and milling machines, shears, and drill presses. 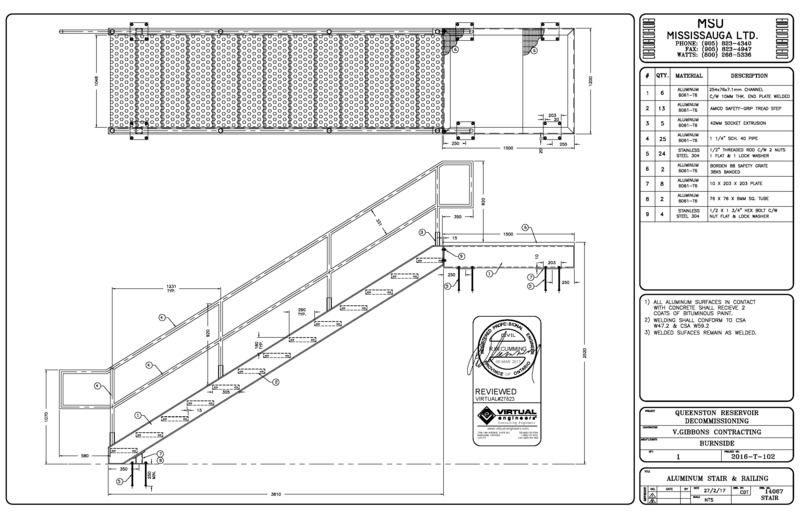 All product designs and drawings are generated using the latest in computer-aided design tools – Autocad. Sound products start with sound designs, that’s why we incorporate our years of expertise into every aspect of MSU Mississauga Ltd.’s products. 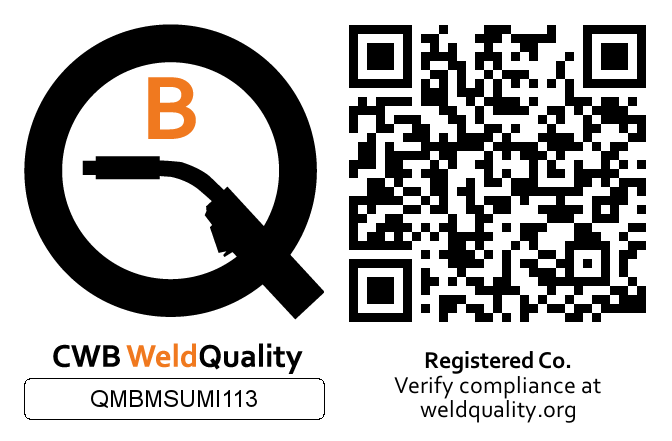 Our CWB Weld Quality Mark acknowledges MSU’s on-going commitment to developing quality procedures and processes which assure weld integrity and product quality. Our in-house ISO 9001 compliant quality management system assures consistency and quality from the design stage to procurement, manufacture and shipping of products. MSU Mississauga Ltd. has been certified by the Canadian Welding Bureau (CWB) to weld aluminum and stainless steel for over 25 years. 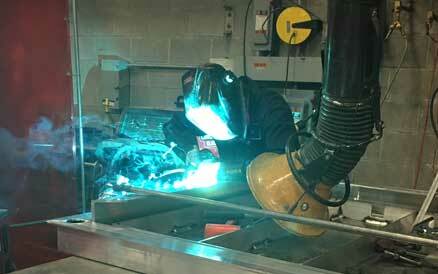 Companies offering welding services must be CWB certified in order to meet with a wide range of regulations such as CSA standards, building codes, occupational health and safety acts, high way and bridge codes. CWB certified companies are third party audited on a semi-annual basis and all welders are re-certified to all materials and procedures every two years. At MSU Mississauga Ltd., we espouse to the philosophy that our customers need a supplier who understands that quality products and services start with people who listen and can translate customers’ needs into properly designed and manufactured products. Customer service governs all phases of operation. MSU offers technical advice, expertise, and reliability, which saves our customers time, money, and aggravation. 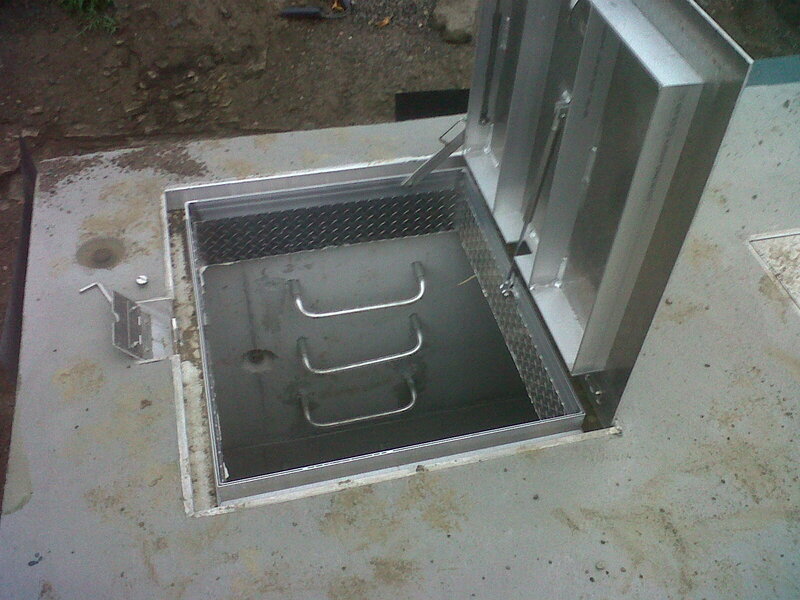 MSU Mississauga Ltd. specializes in the custom design and fabrication of in house designed and client specified products, and manufactures corrosion-resistant aluminum and stainless steel railing systems, stairways, access hatches, climbing rungs, ladders, safety platforms and access handles for the water and wastewater industries. Unique to a company of its size, MSU utilizes an end-to-end Enterprise Resource Planning software (ERP) called Visual Enterprise. The Visual ERP software enables us to manage every aspect of the business from estimating to material planning and financial statement preparation through to job costing and scheduling. 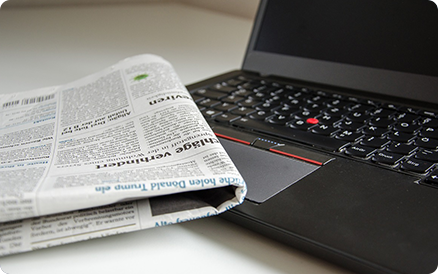 We also have customer relationship management software which enables us to manage clients’ information, quotations and documentation efficiently and seamlessly. MSU’s design and drawing database spans over 25 years.